In this episode of First Things First, I sit down with Arturo Malave, Co-Founder of Miami, Florida based Boatrax, who has released and IoT remote boat monitoring system. We hear Arturo’s nuanced view on the boat industry, and why growing industry standardizations have paved the way for affordable IoT solutions for boat owners. There’s AirBnB for homes, Uber for Cars…. And now Boatrax for boats, the second or third most expensive asset one might own. Arturo gives us in depth insight onto what it takes to make a successful Hardware and software startup. He tells us about some resources available for startups, including numerous IBM-provided free credits and mentorship. 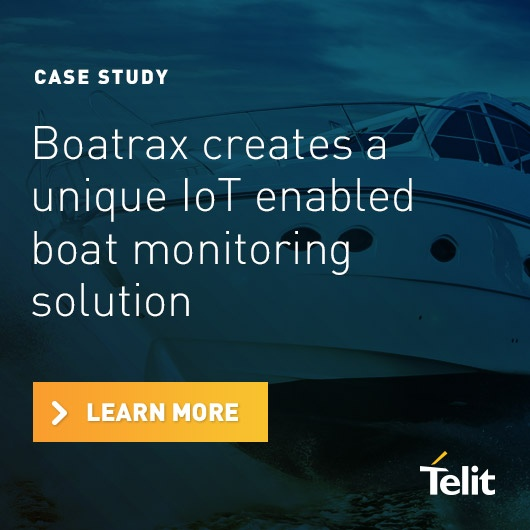 Boatrax proves that even growing IoT startups can leverage the full quality of IBM Watson artificial intelligence and support. Boatrax is operating in one of the harshest environment in the world: salt water. Key to enabling a well performing solution for this space was rigorous testing with electronic components and housing. In the end, Arturo spent a lot of time honing this. Test with real-world components and environmental conditions. Identify Key Partners. Combining his Marine expertise with IoT component supplier Telit, pre-built IoT gateway and component provider MultiTech, and AI-elite IBM Watson, Arturo & team are sewing together a robust solution that will offer increased value to customers. Part co-founder technology strategist, part SCRUM lover, team lead, web developer, Arturo Malave brings a passion and commitment to making a difference with technological innovations. Starting with a Bachelor of Business Administration in Management Information Systems from Florida International university, Arturo has taken on numerous Technology Director positions within Latin America before his most recent activity in February of 2014 as the Co-Founder of Boatrax.